16 Watson Road , Nechells , Birmingham , England , UNITED KINGDOM (Postal Code: B 7 5SA). Swimmers like you reported 20 meters x 10 meters, Indoors. Unfortunately we do not have the email address of this Swimming Pool, but we can provide you with the phone number. Moseley Road , Balsall Heath , Birmingham , England , UNITED KINGDOM (Postal Code: B12 9BS). Swimmers like you reported 25 meters, 4 lanes, Indoors. Phone number and e-mail address are number for this Swimming Pool. Tiverton Road , Selly Oak , Birmingham , England , UNITED KINGDOM (Postal Code: B29 6BU). This sports centre provides 25 yards, 5 lanes, Indoors. 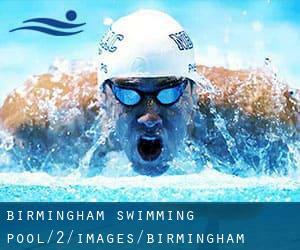 Contact data for this Swimming Pool for example phone number and email address are number. Dulwich Road , Kingstanding , Birmingham , England , UNITED KINGDOM (Postal Code: B44 0EW). Swimmers like you reported 25 meters ""fun pool"", Indoors. Phone number and e-mail address are number for this Swimming Pool. 3 Brunswick Arcade , Brindleyplace , Birmingham , England , UNITED KINGDOM (Postal Code: B 1 2JF). Among all of the activities provided by the centre, if you are enthusiastic about swimming you will get pleasure from 21 meters x 7 meters, Indoors. Just in case you would like to contact this Swimming Pool before dropping by, we only know the phone number. 42/44 Priory Queensway , Birmingham , England , UNITED KINGDOM (Postal Code: B 4 7LA). Among all the activities offered by the centre, if you are interested in swimming you can expect to enjoy 18 meters x 8 meters, Indoors. Just in case you would like to get in touch with this Pool before dropping by, we only know the phone number. Holly Road , Handsworth , Birmingham , England , UNITED KINGDOM (Postal Code: B20 2BY). This sports centre gives 25 meters, 6 lanes, Indoors. Contact info for this Pool similar to phone number and email address are number. Station Road , Stechford , Birmingham , England , UNITED KINGDOM (Postal Code: B33 8QN). Among all the activities provided by the centre, if you're thinking about swimming you may enjoy 25 meters, 6 lanes, Indoors. If you need to get in touch with this Swimming Pool, email address and phone number are both number. University Road West , Edgbaston , Birmingham , England , UNITED KINGDOM (Postal Code: B15 2TT). Among all the activities offered by the centre, should you be interested in swimming you will enjoy 25 meters, 6 lanes, Indoors. If you must get in touch with this Pool, e-mail address and phone number are both number. 78 - 79 Francis Road , Edgbaston , Birmingham , England , UNITED KINGDOM (Postal Code: B16 8SP). Among all the activities offered by the centre, if you're thinking about swimming you will get pleasure from 20 meters x 10 meters, Indoors. Just in case you need to contact this Pool before dropping by, we only know the phone number. Shady Lane , Great Barr , Birmingham , England , UNITED KINGDOM (Postal Code: B44 9ER). This sports centre offers 25 meters x 13 meters, Indoors. For this Pool, only phone number is number here. 2 Bridge Street , Birmingham , England , UNITED KINGDOM (Postal Code: B 1 2JZ). This sports centre provides 16 meters x 5 meters, 3 lanes, 1.7 meters maximum depth, 1.7 meters maximum depth, Indoors. Contact data for this Swimming Pool for example phone number and e-mail address are number.